How about we kick off the weekend with a fabric-friendly giveaway? I've got a chance to give your summertime crafting a boost with an awesome new iron! 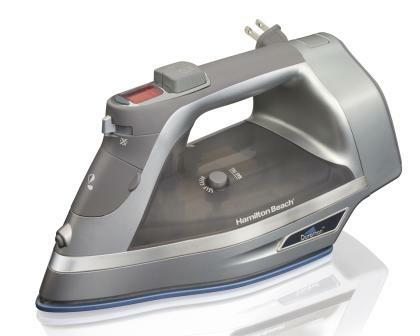 The lovely folks at Hamilton Beach are giving one Sew Can Do reader a brand new Durathon® Digital Iron with Retractable Cord! 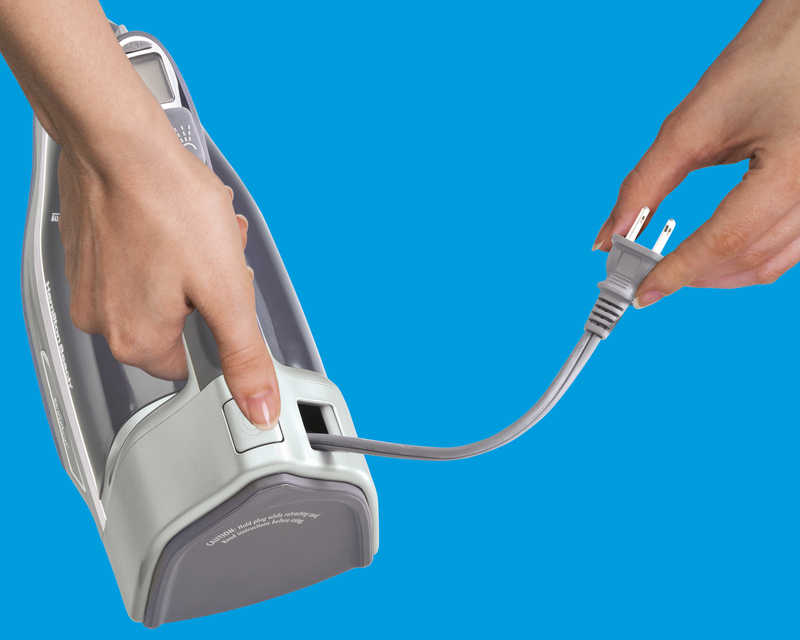 Now, here's your chance to win a Durathon iron for yourself! 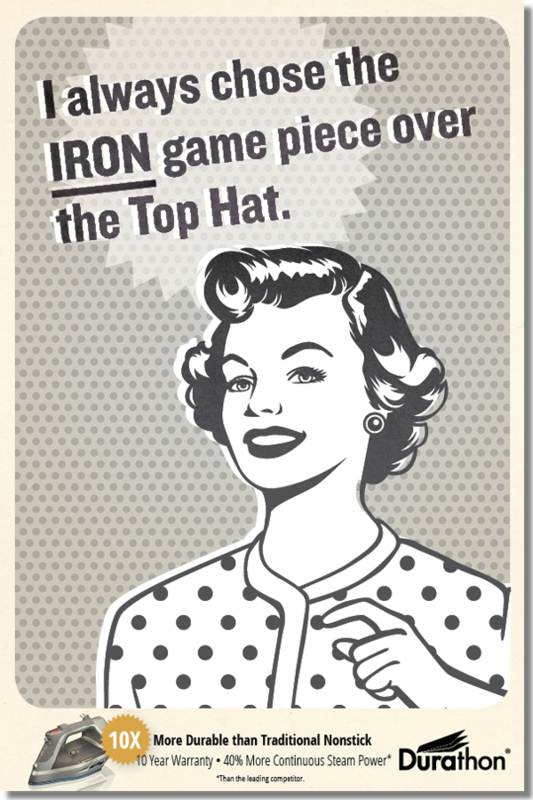 I would use this iron for all my needs -- husband's work shirts, and my daily sewing projects!! I would use it for garment making and quilting. I'd use the iron to make quilts. Most of my pressing is on fabric & patches, etc. Every once in a great while I have to iron or touch up a blouse, but those blouses seem to pretty much stay in my closet. Thanks. I'd use it for quilting-my iron just isn't heavy or hot enough to do the job and this is the second one I've tried. 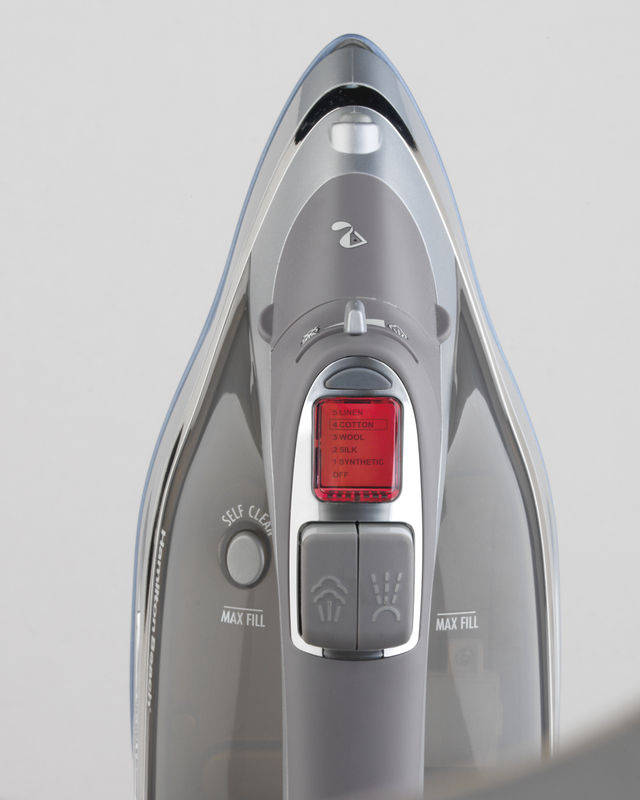 Itd be wonderful to have an iron with a retractable cord-I am always leaving mine out to cool. Quilting - who cares about ironing clothes! LOL! I would make quilts, bags and clothing. Looks like a great iron. I'd use this iron for all of my quilting. Thats the only ironing I do! This Durathon Iron would be at my side like a best friend in my sewing room. I always pre-wash my fabrics before cutting and this would take out every wrinkle like a breeze. I really need this! Just want to add my praise of this iron! I have one and it is by far the best one I have ever had. I would love to have one dedicated to sewing! I will use this iron for quilt and craft projects as well as everyday ironing. It will be a replacement for my leaking iron. Love the retractable cord feature. Thanks for the chance to win. For my quilting. If I have, iron my hubby's shirts! I would use the Durathon iron to make shirt dresses. I would use it in making a baby quilt for my new granddaughter. i am working on several skorts for my daughter for school. I would use the iron to make the pleats on her skirts. I am working on a kiltie for my daughter, tons of pleated wool!! Iron my work clothes and iron my quilts. Guess which one I enjoy most. I would use it to make my daughter a skirt. I would use it for ALL of my quilting needs! My irons are pitiful, old and tired. I am always trying to remove stains from the fabrics (and it is super annoying). This would be a wonderful tool to have in my sewing room. I would love an iron that doesn't drip steaming hot water on my feet. looking forward to trying a new and improved iron for all the cotton quilting fabric! I would use this for my normal ironing. FANTASTIC iron! 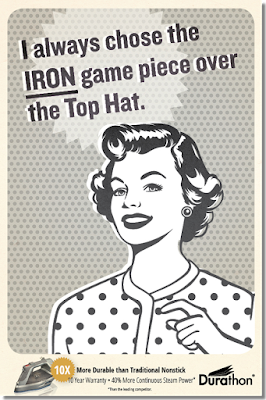 Face it, we all hate to iron, but this looks like it could make ironing fun! All my ironing needs, clothes, fabric, etc. I would use this to iron my work clothes and my quilting projects. I'm a quilter and a good iron is a must. Mine died the other day and I'm using a borrowed one till I decide what to buy. Maybe this is the one. Quilting, sewing bags, sewing pillows, and anything else that needs ironing. I would use this iron to make quilts and oven mitts. I would use it to iron all of my clothes. I would use it for my quilting. My ironing board never gets put away. Thank you for the giveaway. I'm a cloth dollmaker and I'm forever at my ironing board. I'm always looking for tools to make sewing easier. I would use this iron for all kinds of clothes and fabric project ideas! My daughter and I are into costuming and the current iron we have is old and just not doing the best job. This couldn't have come at a better time! 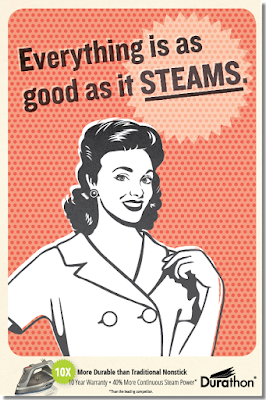 My poor iron leaks, spits, & spews little pieces of calcium when I push the steam button lol. It would definitely be used for ironing my sewing fabric, it's all I do iron except occasionally ironing a wrinkled t-shirt or jeans. Right now I'm sewing pillow cases for kids in the hospital with cancer. Bless their little hearts going through so much at such a young age. I just pray these pillow cases cheer them up a little. I love to sew & my iron is about ready to quit. Thank you so much for the giveaway! Have a wonderful week & God bless. Good luck everyone. It sounds like a magnificent iron, sewist/quilter best friend. Just purchased some organic canvas to make a tote for me and would love to see Hamilton Beach Durathon Digital at work. I also need a new ironing board cover so I could test it on that too:) Thank you. My first quilt! I have all the fabric ready to go. It's this one http://robertkaufman.squarespace.com/patterns-and-projects/quilted-love-panel-quilt.html and you can tell by the fact that this fabric is no longer available that I've been ready for a while. I'm waiting for my kids to start back at school to begin it! I would use the iron every time I piece quilt blocks. I would use it for all my sewing projects, mainly clothes for my daughter! The iron sound great. I would love to win. I am more of a seamstress then a quilter, but I do both. I will be using the iron for Vintage Style Dresses, and other clothing. This iron looks great for quilting! 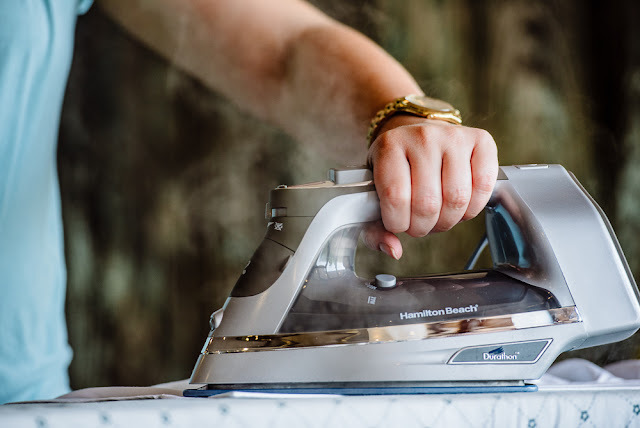 I use an iron every day in my sewing room - my iron is on practically all day ready to press my quilt blocks in progress, or pressing fabric ready to be cut for making quilt blocks or childrens clothes that I make for my grandchildren. I would use it for quilting projects and sewing clothing for my grandchildren. I sew quite a bit in streaks. I'm using a cheap iron now and it's so frustrating to have to press seams over and over again. Thanks for the chance! Mostly for quilting and sewing. I don't have many clothes that need ironing. I would use this iron not only for ironing clothes, but for blocking my knitting projects. I would use it for patching!